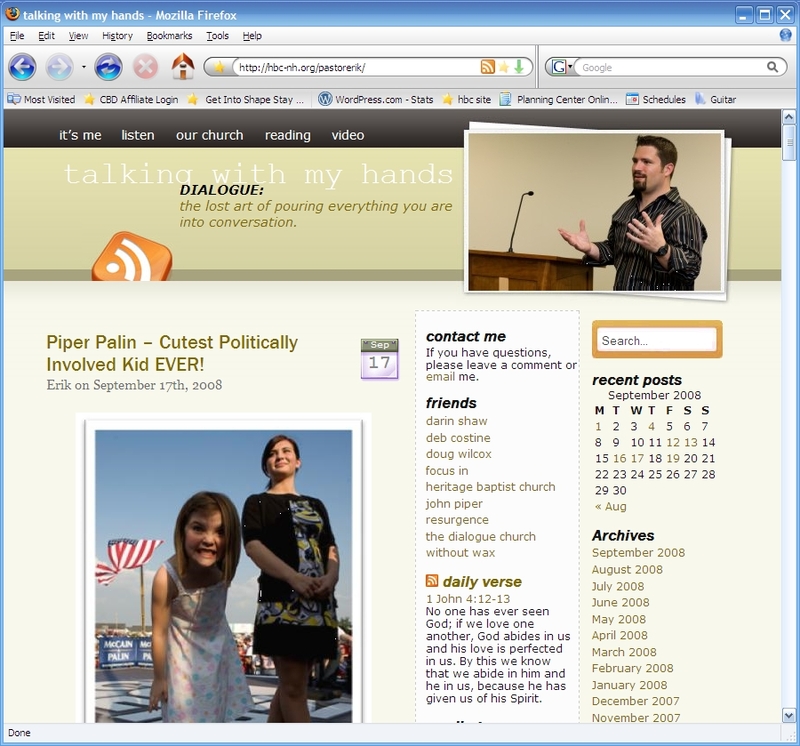 When I started this blog, it was just a way for me to publish updates for the church – numbers and such. But over the past couple of years, it has evolved significantly. We started at http://www.blogger.com; but their functionality was somewhat limited for what I wanted to do. We moved to wordpress.org; and I could not have been happier with their functionality and style. But in October, we’ll be moving again. We will be hosting the blog on our own servers using the wordpress.com software, which is even more powerful and versatile. Here is a quick screen capture of the new look. We’ll keep you posted about the actual move date. Previous postPiper Palin – Cutest Politically Involved Kid EVER!